Sexist apparel and toys for children are sadly nothing new, but it's even sadder that manufacturers continue to produce them. Marvel, the comic book publisher, is now contributing to the boys are strong/girls are weak dichotomy with two T-shirts based on the popular "Avengers" franchise. 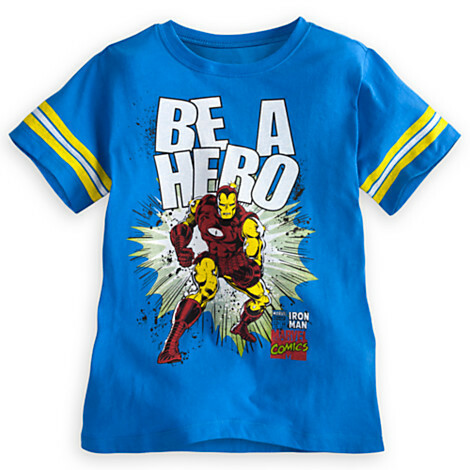 The shirt for boys declares, "Be A Hero," while the shirt for girls (available in Juniors sizes) says, "I Need A Hero." Anyone else sick of the idea that girls are incapable of taking care of themselves and being their own heroes? This isn't the first time "The Avengers" has gotten flack for sexism. Cartoonist Kevin Bolk made a splash when he re-drew the Avengers movie poster depicting the bodies of the male characters in the pose Marvel usually reserves for females -- booty out. CORRECTION: An earlier version of this story indicated that the Juniors-size girls shirt was a child's shirt and thus unfairly priced compared to the boys shirt. 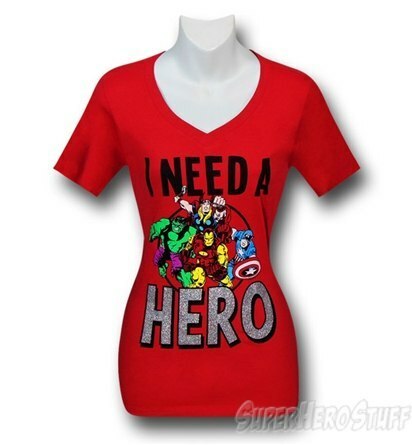 The "I Need A Hero" shirt is sized for teens, not children.